Marilyn Manson has issued a statement defending himself after he aimed a fake rifle at fans during a recent live show in San Bernadino, California. The incident took place on Sunday, November 5, the same day a gunman killed at least 26 people in a mass shooting at a church in Sutherland Springs, Texas. 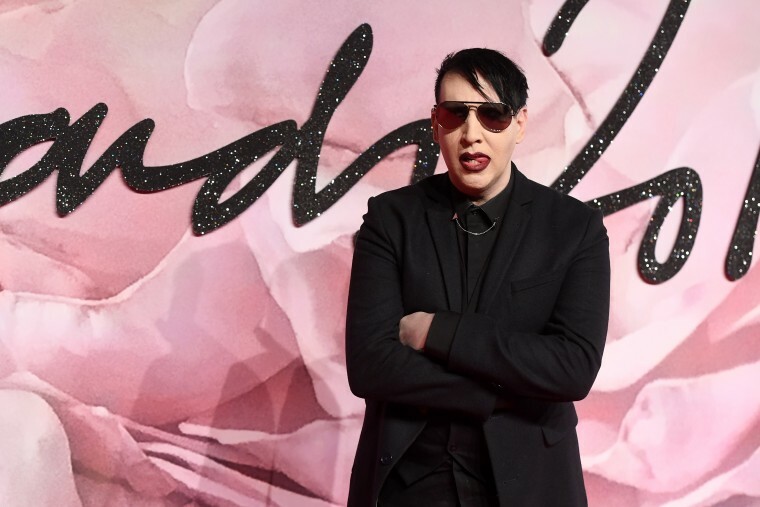 Manson told Billboard that the stunt was not meant to be "disrespectful or show any insensitivity," adding that he wanted to "make people think about the horrible things that happen in this world." "In an era where mass shootings have become a nearly daily occurrence this was an act of theater in an attempt to make a statement about how easily accessible semi-automatic weapons are and how seeing them has become normalized," he said. "My art has always been a reaction to popular culture and my way to make people think about the horrible things that happen in this world. My performance was not meant to be disrespectful or show any insensitivity. The prop microphone I used on stage was handed to me with the approval of a police officer. My empathy goes out to anyone who has been affected by the irresponsible and reprehensible misuse of REAL guns." The California show, part of Ozzfest Meets Knotfest 2017, was Manson's first show back following an injury he sustained on stage in New York. He was forced to postpone a month of tour dates when a stage prop fell and broke his leg.